By the time twelfth night came I was well and truly sick of Christmas. So, I decided to de-Christmas the house and go and buy some Spring flowers. 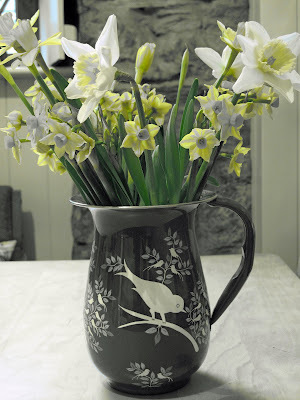 I got some lovely daffodils and narcissi and put them in my new jug. I know we still have quite some weeks to go until Spring arrives good and proper (71 days in fact), but I am hoping that my wishful thinking will get me through the remaining dark nights. 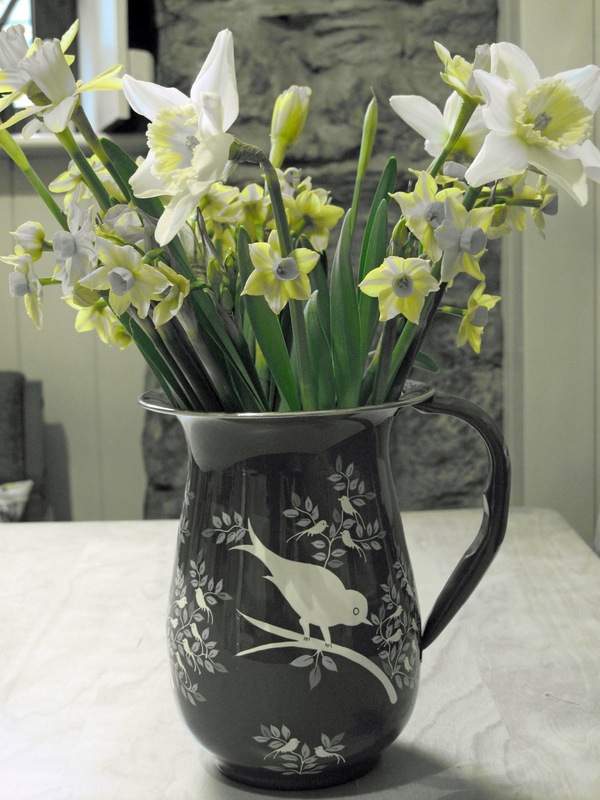 Love your new jug - I have a little dish with exactly the same design - a few daffs certainly cheer the place up don't they. p.s. can I just ask how you uploaded your header? Hi Elaine, I made my header in photoshop elements and went to the layout menu for my blog. Then I clicked edit on the header section and uploaded it from there (I clicked the use instead of title and description option). Hope this helps!